Medicare Part D, the prescription drug component of Medicare, is optional insurance. Unlike with Medicare Part A and Part B, which the Social Security Administration manages, private health insurance companies manage Part D drug coverage. Although all Part D drug plans must comply with federal laws, wide variations in availability and pricing between different insurers still exist. If you choose a plan that doesn’t work for you and want to change or cancel Medicare Part D insurance, it is important to pay attention to the timing of the cancellation and follow established procedures. Unless your request is due to a special circumstance, you can only cancel during the annual Open Enrollment Period, which runs from October 15 to December 7 each year. Circumstances that trigger a Special Enrollment Period include becoming eligible to enroll in a group health insurance plan that has the same or better prescription drug coverage, or moving to a new location not in your current plan’s service area. Although the time frame for dropping Medicare Part D coverage varies according to the situation, you usually have about two months from the date the change occurs. You can cancel Medicare Part D coverage by contacting Medicare directly at 1-800-633-4227 or by contacting the insurance company. Some plans have an online cancellation option while others require written notice. Contact the insurer at the telephone number listed on the back of your membership card for specific instructions. If the insurer requires a notice in writing but does not provide a cancellation form, write the letter in a standard business letter format and send it via certified mail with a return receipt request. As an alternative to cancelling your Medicare Part D prescription drug plan coverage, consider enrolling in a different plan. The easiest way to change from one plan to another is to sign up for a new plan during the open enrollment period. You won’t need to cancel the old plan as it will terminate automatically on January 1, when the new plan starts. A second option only applies if you are switching from a private insurer’s Medicare Advantage Plan to traditional Medicare Part A and Part B during the Medicare Advantage Disenrollment Period, which runs from January 1 to February 14 each year. During this time, you have the option to drop your current plan and sign up with a different plan. 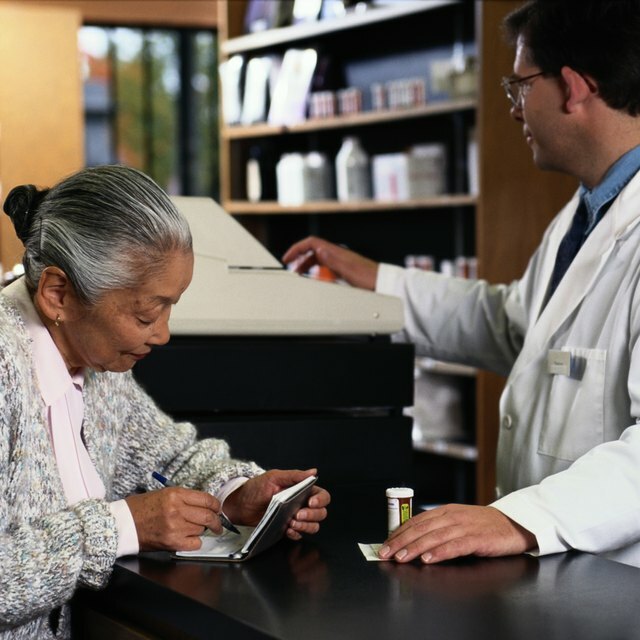 Is Enrollment in Medicare Part D Mandatory? How Much Is the Medicare Deductible Before Part B Goes Into Effect? People who don’t require much prescription medication may find the cost of Part D insurance outweighs potential benefits. If this pertains to you, remember that enrolling in Medicare Part D is voluntary in most situations. However, if you drop prescription drug coverage or decide not to enroll and change your mind more than 63 days later, you’ll be subject to a late-enrollment penalty that will permanently increase your monthly premium. As of 2015, the penalty is $33.13 for each full month you went without prescription drug coverage.